This versatile eyeshadow stick delivers effortless application, high-impact colour and up to 12-hour wear. Pigment-rich shadesnudes to deeps, shimmer and matte finishesglide seamlessly onto lids. Creamy formula gives you plenty of time to smudge, blend, line, fill or define, so it's easy to create any look. Apply directly to lash line for a smoky liner effect, or all over eye lid for higher impact. Blend with brush or fingertips. 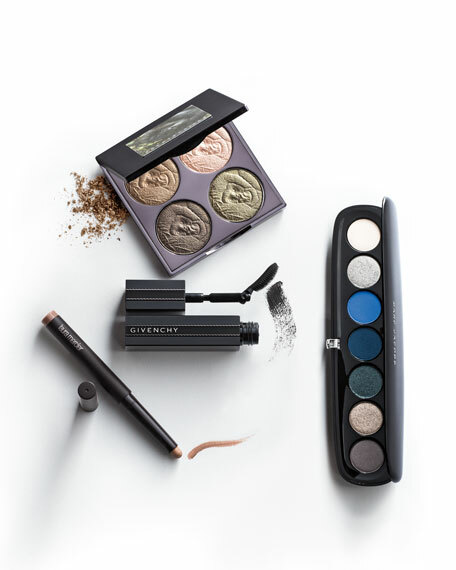 To create a classic smoky eye, apply colour in a gradient, with the darkest colour at the lash line. Or keep it simple with our updated smoky eye: apply a deeper colour in the crease and a lighter colour on center of the eye lids.